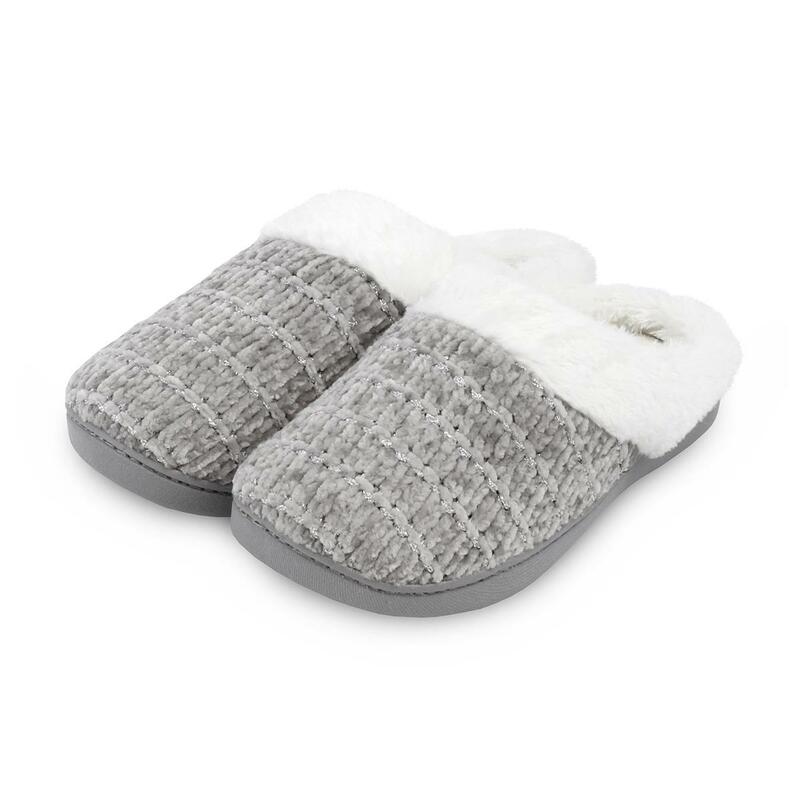 The Isotoner chenille mules are perfect for the Winter season! Complete with 360 Surround Comfort, our unique Pillowstep technology and ULTRA COMFORT foam layers, as well as heel and arch foam for added support and a durable Daydreamer sole, they're both stylish and functional. Machine washable at 30 degrees. Do not bleach, iron, dry clean or tumble dry.